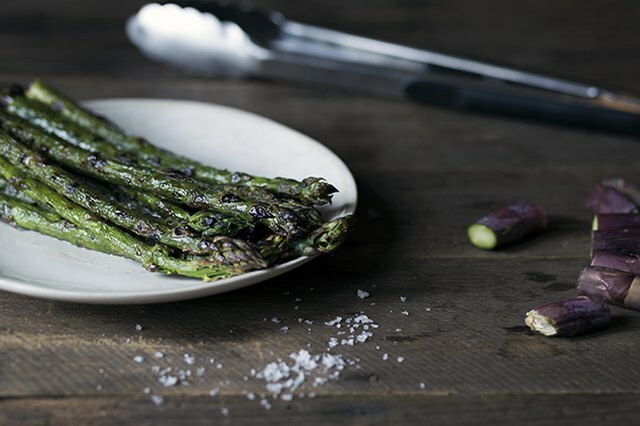 When it comes to vegetables, asparagus is probably one of the easiest to prepare. It can be steamed or simmered in no time for a healthy side dish that's a perfect accompaniment for many dinners. You can even steam it in the microwave! However, when the weather is nice out, grilling is a fantastic option. It adds a light crispness, a delicate char, and a smokey flavor that you won't get with the other cooking methods. Preheat a gas grill on high heat for 10 to 15 minutes. 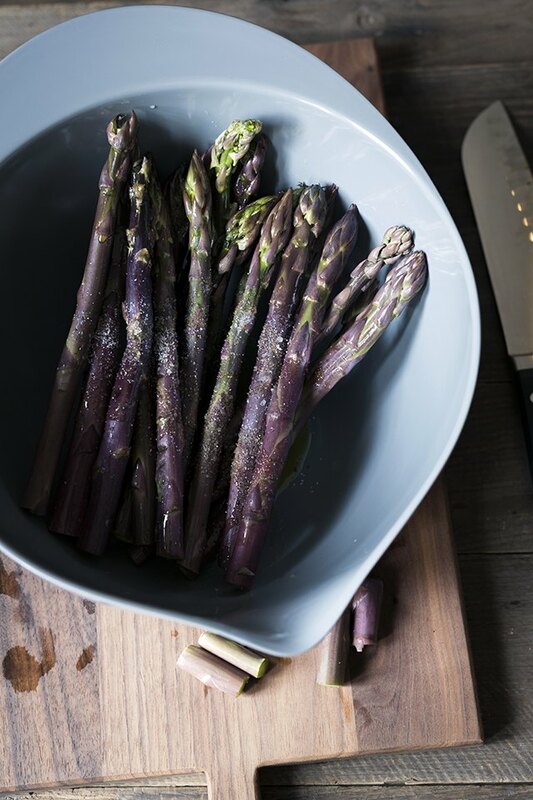 Any type of asparagus will work on the grill, but thicker varieties (which are available in every color) are less likely to fall through the grill grates or char if left unattended. They're a bit easier to work with, and they provide a nice balance between the crisp outer skin and the soft interior. Purple asparagus turns green after it has been cooked! 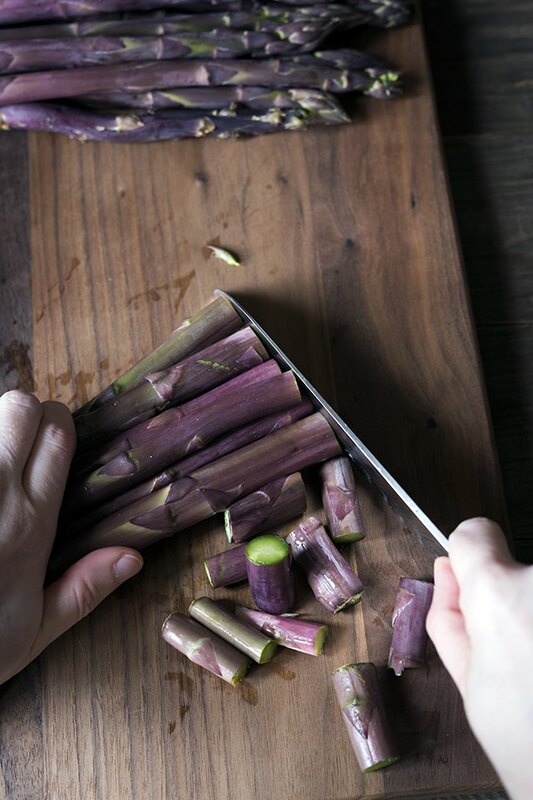 Trim off approximately 1 to 2 inches from the root end of the asparagus, as this side can be a bit fibrous. 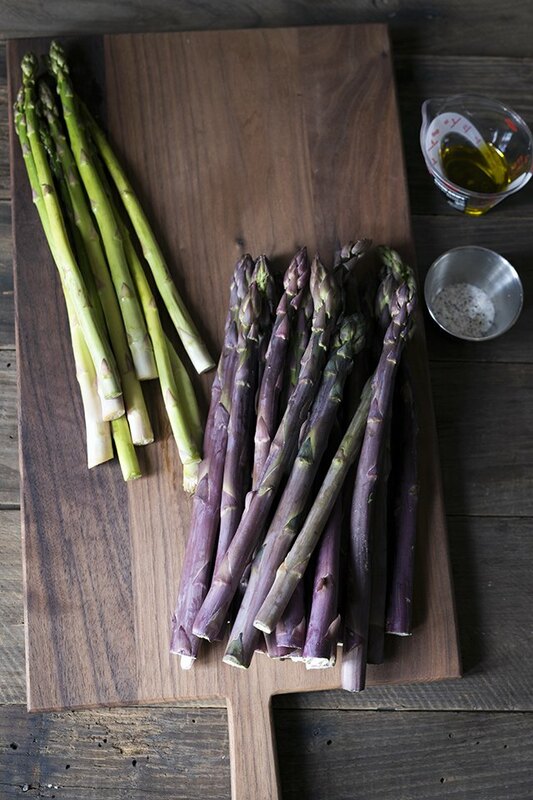 Coat the asparagus liberally to prevent it from sticking to the grates. Place the asparagus on the grill and close the lid. Using tongs, turn every 2 to 3 minutes to cook evenly. If possible, avoid over charring the skins. The total cooking time will vary depending on the thickness of the asparagus, but will take approximately 7 to 10 minutes. It's a good idea to test one for doneness before removing them. They can be served as is, but are also wonderful with a spritz of fresh lemon juice or a drizzle of balsamic vinegar.